ShopBy Menu allows to display a top navigation block with nested multi-level categories (up to 3 levels), product's manufacturers & list popular product's tags. Give your customers ability to quickly find products for purchase. 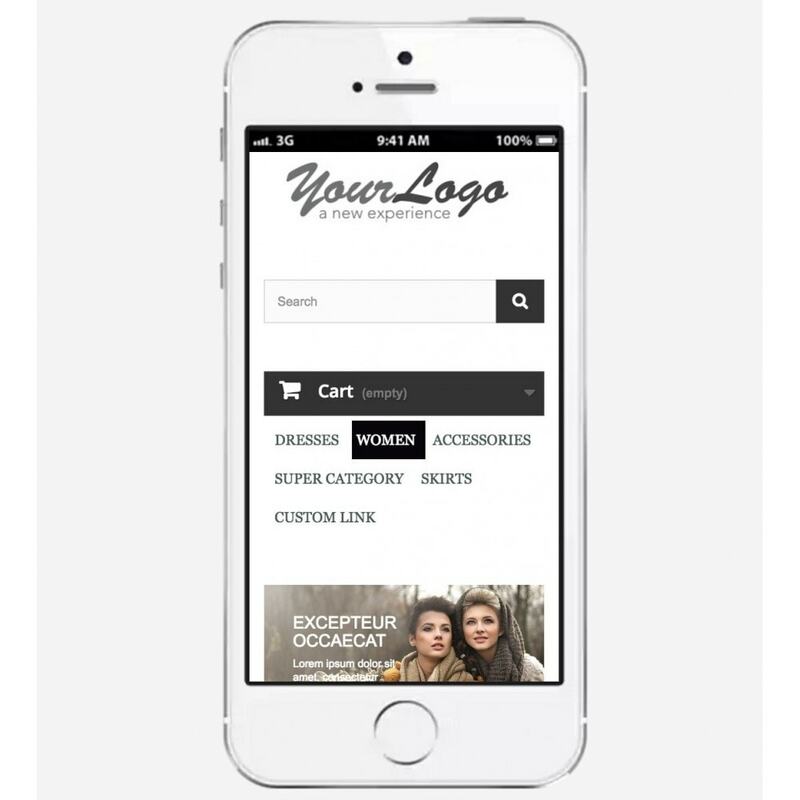 Customers can navigate your site easily by fast locating sub-category or brands or even popular product tags. In addition to categories selection option you can add your custom links as well. 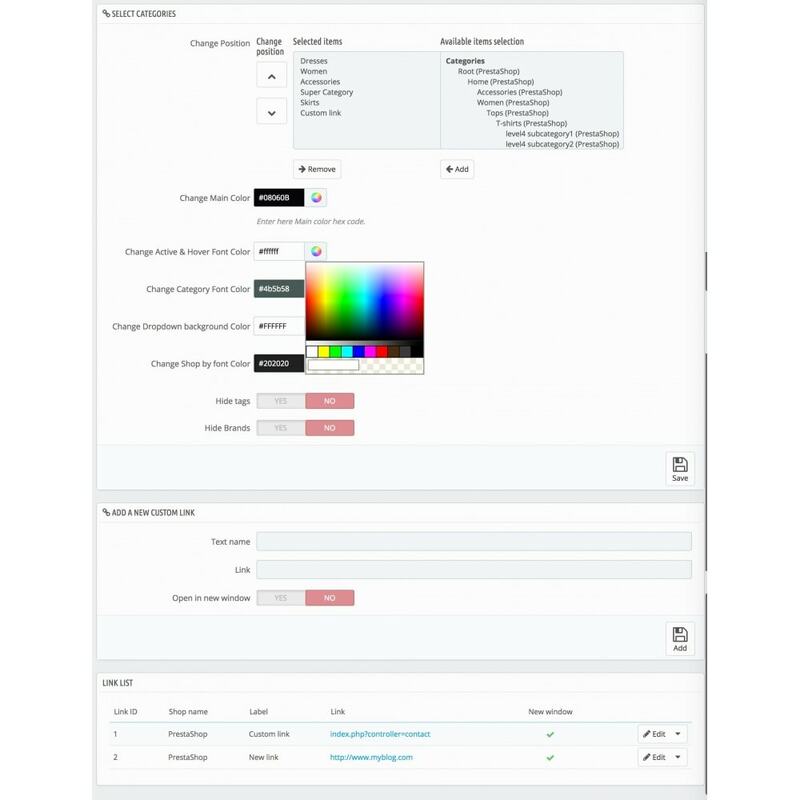 Menu is easy to customise: select categories and links you want to show, set main menu colours with backend color selector and you are ready to sell.